Big things were expected from Virat Kohli’s team India when they started the year with an away series to South Africa. In a year which was expected to help establish India’s dominance as the world’s best Test side, it has been an all too familiar story for the team. India did manage to put up a fight in both South Africa and England, and one could argue that had small things gone their way, we could have had different results but as it stands, India lost the Test series 2-1 in South Africa and 4-1 in England. Australia offers one final chance for redemption and it won’t be wrong to say India start as favourites Down Under – a place where they have not often had the best of results. Australia without Steve Smith and David Warner, have looked like a shadow of the side they used to be. The young guns haven’t exactly set the stage on fire and will be looking to give their fans something to cheer for in the upcoming four-match series. With the Adelaide Test starting on Thursday, here’s a look at the five key-battles that could well decide the fate of the series. 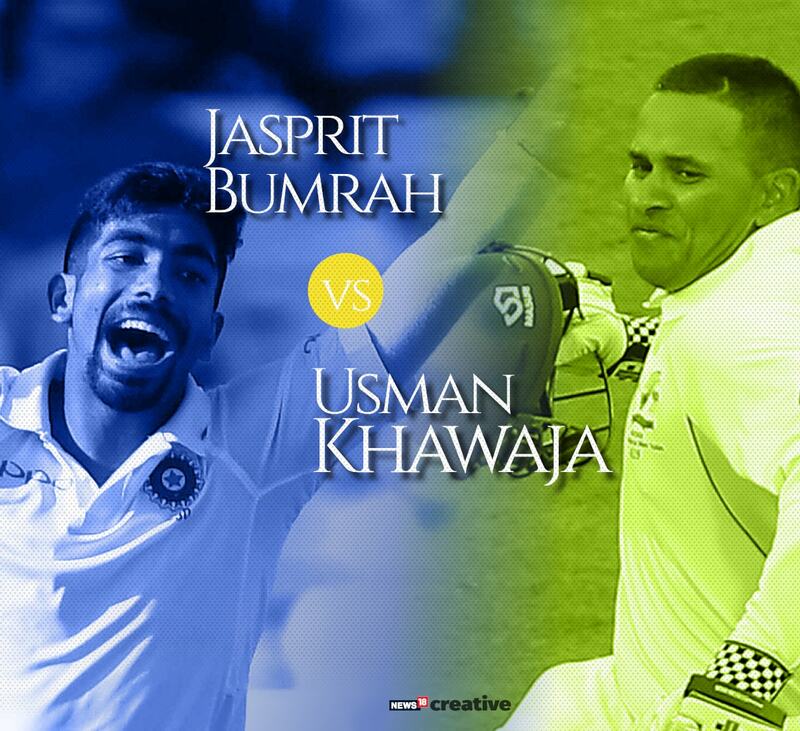 Surely among the best batsman and best bowler at the world stage right now, this is the battle everyone is looking forward to. Kohli has been batting like a man possessed, scoring runs in England and South Africa. He has often fought lone battles for a brittle batting line-up. He will once again be pumped up to rewrite history for India but can expect a match-up in Starc, who will be equally looking forward to the series. The left-arm bowler will look to take the ball away from Kohli and is also known to surprise the batsman with a superb yorker. Both are known to have mutual respect for each other, as they have spent time together at Royal Challengers Bangalore where Starc played under Kohli’s captaincy but be rest assured that friendships will be forgotten quickly once the battle resumes on field. 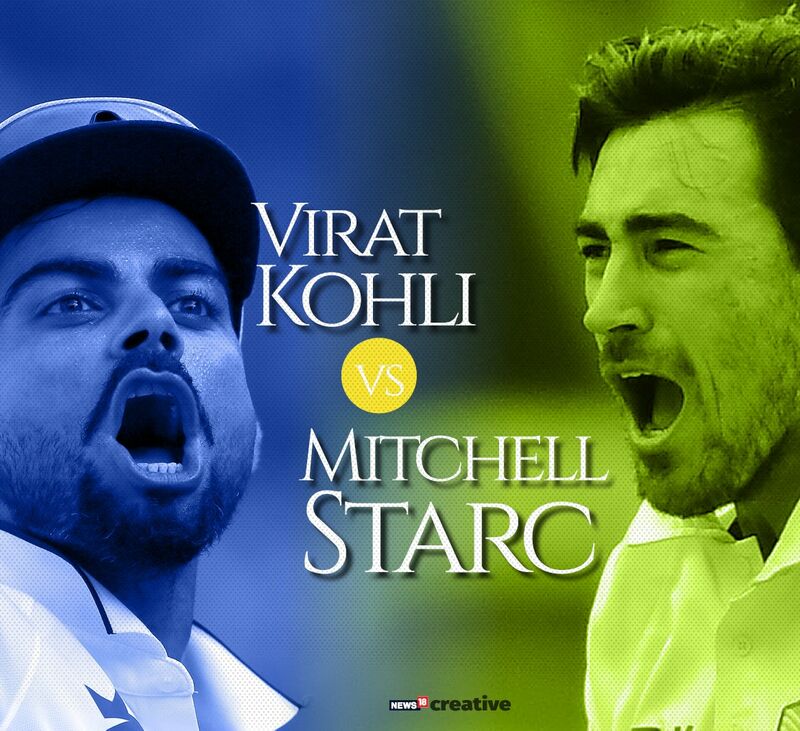 Both players aren’t afraid to speak their minds, and it will be interesting to see if Starc or Kohli get involved in a war-of-words which will further add to this gladiatorial battle. 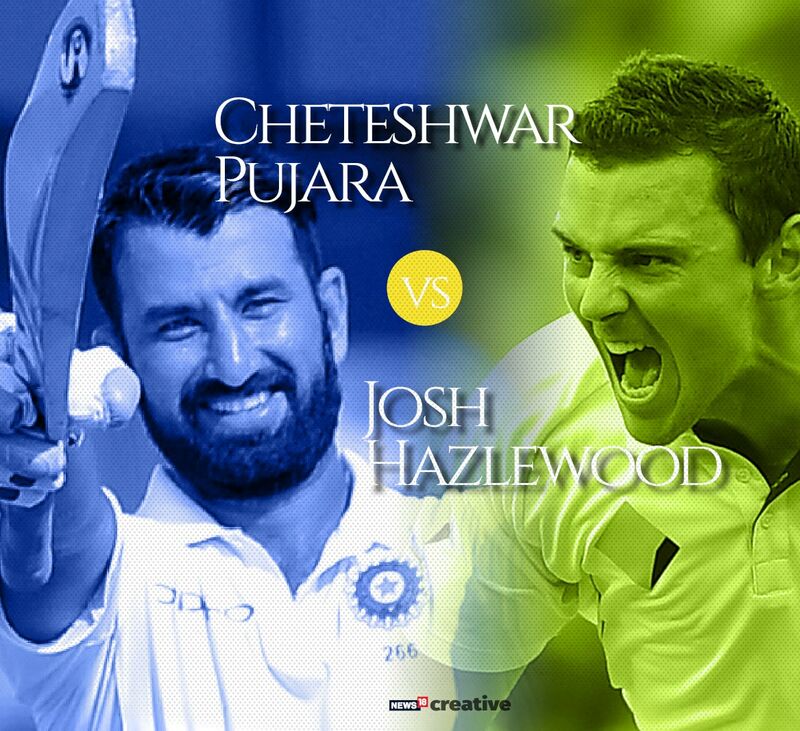 If Starc vs Kohli promises to be gladiatorial, then Pujara vs Hazlewood will be one of pure grit and determination. Not often the players who get the most attention, but Hazlewood and Pujara are both vital pillars of the team. Pujara can grind teams out of the game, as Australia will know very well after they were on the receiving end of a Pujara masterclass in Jharkhand when the two teams previously met. Hazlewood as a bowler is more in the Glenn McGrath mould and can bowl long accurate spells, giving the batsman nothing to play with. The Indian openers aren’t in the best of form and that makes Pujara’s role all the more significant. Hazlewood has often had an upper hand over the Saurashtra batsman, dismissing him thrice, including twice in 2014 – when India last toured Australia. It has been a breakthrough year for both these players, especially in Test cricket. Bumrah had already established his credentials as a limited-overs specialist but many expected him to struggle in the longer formats. He has managed to pick 28 wickets in six Tests at an average of 25.57 and has emerged as Kohli’s go-to bowler. Khawaja meanwhile has finally lived up to the expectations, delivering for Australia at the top of the order. He was successful against Pakistan, being among the runs in challenging conditions and will back himself to rise to the occasion at home. Former captain Ricky Ponting has backed Khawaja to outscore Kohli, but he will have his task cutout against Bumrah, who he hasn’t faced often. As we have seen, batsman facing Bumrah for the first time have difficulty in picking him up. That is something Khawaja will have to be careful about. Lyon is likely to be the lone spinner for Australia but he enjoys a great record in Australian conditions and is an exception when it comes to off-spinners performing Down Under. He can be especially lethal on Day three and Day four pitches, thanks to his ability to extract spin from the rough. 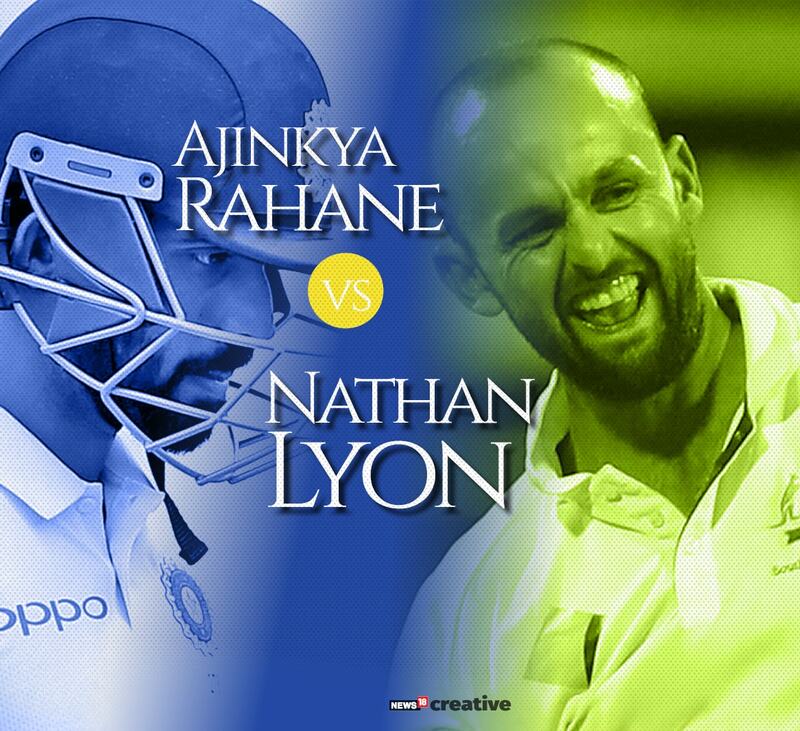 Rahane comes into the series with the spotlight firmly on him as he hasn’t been in the best of forms of late. Lyon also enjoys a fine record against the Indian, dismissing him six times, including thrice on India’s previous tour of Australia. But along with Kohli, Rahane will have some fine memories of the previous tour and will be itching to get back among the runs. With likes of Rohit Sharma and Hanuma Vihari among others waiting in the wings, the tour might well be make-or-break for the Mumbai batsman. His struggles against spin are known and Australia will look to target him with Lyon. Tim Paine has been given the unenviable job of getting Australia back from the doldrums and it hasn’t been the smoothest of sailings for him so far. He is yet to win a game but will be looking to set the record straight in home conditions. He will have the responsibility of being the anchor in an inexperienced middle-order and contribute with the bat. His task will be cut out though, especially in handling Ashwin, who will be looking to improve his record there. 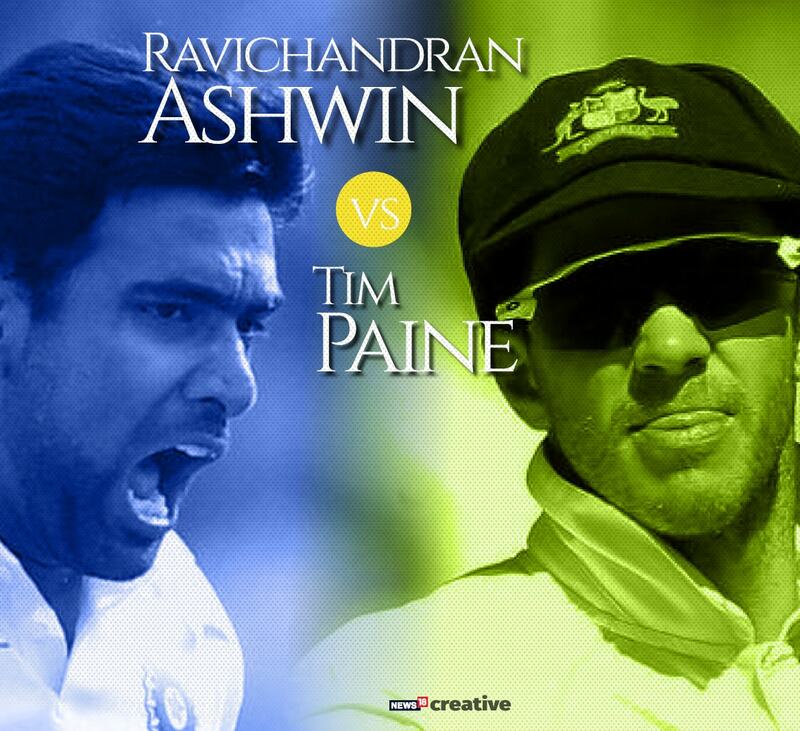 Ashwin has only managed to pick 21 wickets in six matches, at an average of 54.71 in Australia. After starting off well, his form fizzled out in England where he also suffered a hip injury. He will be looking to get his mojo back and also answer his critics, who feel he has been too inconsistent in foreign conditions for India.